Taxpayers who use HMRC’s Self Assessment online service to calculate and pay their tax bill are being warned to double-check their accounts due to a software glitch which is causing payments on account to be omitted from their final tax bill. David Redfern, Managing Director of DSR Tax Claims Ltd is warning Self Assessment taxpayers that this error could result in them to failing to pay their full tax bill, potentially leading to being charged interest on late payment. He recommends that taxpayers recheck their accounts to make sure they are in order. Taxpayers who are subject to Self Assessment are required to make payments on account towards the following year’s tax bill if they have tax liabilities exceeding £1000. 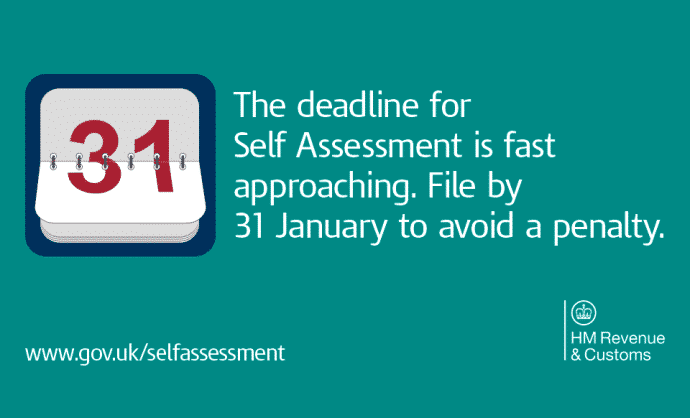 Two payments on account are due – the first by 31st January (the Self Assessment deadline) and the second on 31st July. Their tax bill will include a ‘payment on account’ element, as well as the final settlement of tax for the tax year they have completed a tax return for. However, there is a known issue for a number of taxpayers where their payment on account for the following year has not been included in their tax bill. It is unclear how many taxpayers have been affected by this error, or whether HMRC intend to contact affected taxpayers to inform them that their tax bill is incorrect. HMRC have attributed the glitch to a ‘systems error’. Redfern urged all Self Assessment taxpayers to check their online tax accounts before the deadline, commenting “There will be many taxpayers who submitted their tax return and paid any tax owed months ago, who are currently under the impression that all is fine with their taxes but I would encourage them to make a final check now to ensure that they have paid the amount of tax they expected to, including any payments on account”. Redfern stated that the issue could be a significant problem for contractors, freelancers and small start-up businesses, who are filing their own tax returns rather than using an accountant. He commented that “Advice has been to check with your accountant to confirm that the amount of tax HMRC states you owe is the same as calculated by your accountant, but this doesn’t help the many freelancers, small businesses and contractors who look after their own taxes – especially those who are new to Self Assessment and therefore have little option but to rely in HMRC’s figures. If at all possible, check your Self Assessment online again and if you are unsure as to the accuracy of the information you are being provided by HMRC, contact them as soon as possible”. HMRC have stated that they will not be charging additional interest and have urged anyone affected to contact them without haste so that the error can be rectified. However, Redfern states that this is not enough, commenting that “It is vital that taxpayers can trust the payment information they receive from HMRC – after all, taxpayers are encouraged to treat HMRC’s data as gospel and yet many taxpayers will be rechecking their tax bills, wondering if they have been affected by this error. Will HMRC accept taxpayers’ ignorance of this issue as a reasonable excuse if they fail to pay the right amount of tax? HMRC should be contacting affected taxpayers as soon as possible to ensure that no one is caught out by this issue”. Redfern is a seasoned campaigner for tax awareness and encourages all taxpayers to have a reasonable grounding in taxation knowledge for their own benefit. DSR Tax Claims Ltd regularly runs awareness campaigns intended to inform taxpayers of areas of taxation regulations.